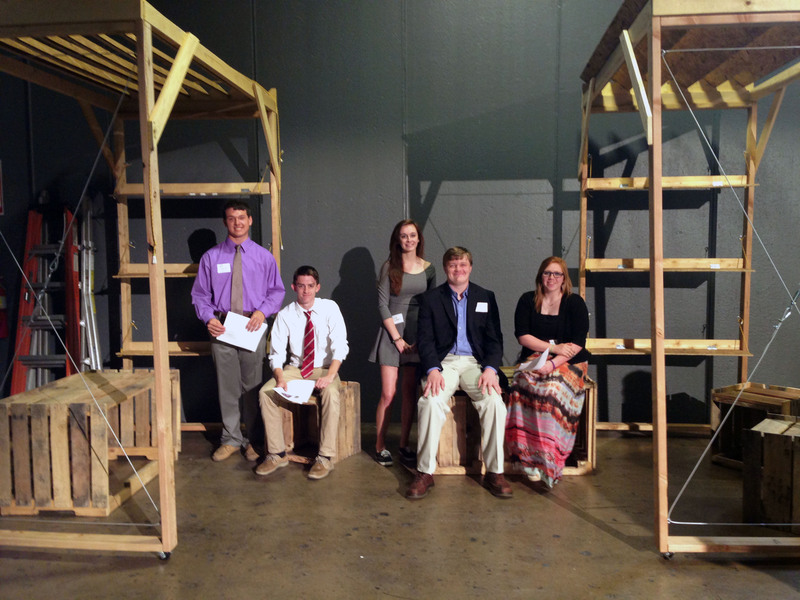 Students from MBA and Father Ryan High Schools will be displaying their “park structure” in downtown Nashville on Friday September 19, 2014. The installation will be at the intersection of Broadway and 5th Ave. on the north east corner (diagonally across the intersection from Bridgestone Arena). The two structures have been painted MBA red and Father Ryan purple! The structure should be set up by 8:00 and breaking down around 5:00, so all are welcome to come by any time throughout the day. We expect to have the biggest crowd around lunch time, and the students should be showing up after school, around 3:30. Pictured below are members of the ACE Mentor team that is working on this project. This team is led by Lindsay Hamilton of Gresham Smith & Partners in Nashville.